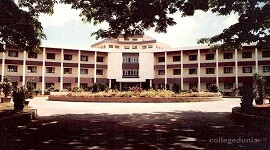 Veerappa Nisty Engineering College (VNEC) was founded in 2010, under the Sharnabasava Vidyavardhak Sangha, Gulbarga. 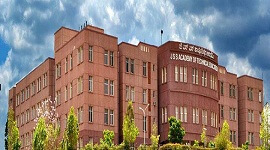 VNEC is affiliated to Visvesvaraya Technological University (VTU), Belgaum and recognized by AICTE. Our college has a strong mission of encourage the development of innovation and creativity along with leadership skills and responsibility in the students. 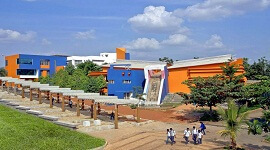 The college features most advanced facilities like classrooms, laboratories, libraries, and auditorium are among others. 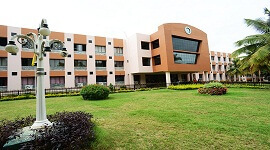 During recent times, the college has drastically undergone infrastructure development to provide quality education in the engineering and other major streams of education. The management is very particularly aims at maintaining eco-friendly environment with sophisticated recycling of the resources within the campus. In the entire south region of Karnataka, VNEC is a provider of quality education and research with its highly experienced and committed faculty members. 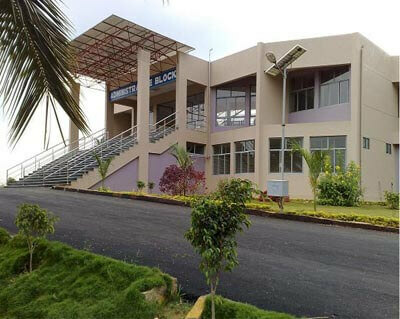 VNEC is one of the fast-growing colleges in the region of Hyderabad Karnataka in providing advanced facilities to the students to help providing good environment to the students for the betterment of their career. 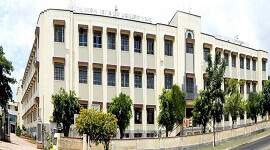 The college modernized its 35 laboratories with complete network connectivity to facilitate the students and all these laboratories are completely abide by the AICTE norms. VNEC has well-established digital library along with conventional library hosting 11,000 books and 925 volumes. 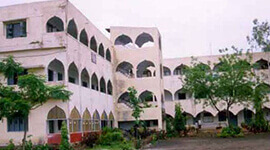 College offers separate deluxe-grade hostels for boys and girls with vegetarian foods along with all basic amenities. 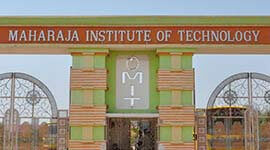 The college offers M. Tech in Structural Engineering and Digital Communication, also MBA. Also, the college offers engineering studies in 5 streams. VNEC has a focused Placement Cell. We have a strong belief that all the merit and eligible students should get recruited from our organization. The Placement Cell of the college is always responsible for organizing training for the UG and also PG students in order to prepare them thoroughly in the recruitment process. We, at VNEC, provide world-class job opportunities in both private and public sector companies. The department of Placement Cell also organizes orientation sessions even before the placement to the students prior to campus interviews from experienced executives of major industries. VNEC responsibly arranges on-campus recruitment programs, seminars, and workshops. 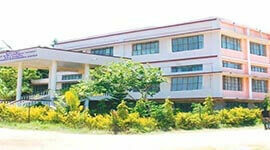 The college has close interaction with companies like Wipro, TCS, Marine etc. for research, academic, Training and Placement. The toppers of the college will be awarded with the "APPAJI AWARD" from the Sharnbasweshwar Vidya Vardhak Sangh each year. Endowment Prize instituted by the Dr P Khageshan each year awards the topper of the first year. Approximately Rs. 2000 per month scholarship will be provided to the merit students of the college by giving concession in the tuition fee to Rs.30,000. Seminars and presentations under various programs including VTU, DST, and Science academy are conducted. Pre-placement training cell and career guidance. Very big library and centrally network connected buildings. Deluxe hostels separately for boys and girls. VNEC has a focused Placement Cell with 2 MNC customers as important customers. The Placement Cell of the college is responsible for arranging training of the UG and PG students prior to recruitment process. The Placement Cell also arranges pre-placement orientation to the students prior to formal campus interviews from senior executives of major industries. VNEC conducts extensive on-campus recruitment programs, workshops, seminars and individual career and job search assistance. VNEC has a close interaction with organizations such as TCS, Wipro, Marine etc. 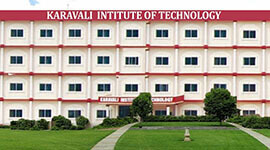 for research, academic and Training & Placement activities. Campus interviews for graduate and postgraduate students normally commence in VII semester for B.E. graduates, III semester for MBA and M.Tech. Oerall, there are 35 laboratories in all departments within the campus. All the labs are well-equipped as per the AICTE norms along with digital library. Departments carry out the academic activities in the form of Quiz, Special Lectures, Technical Exhibition and Industrial Visits.